An all-solid-fueled rocket with familiar feel but new name lifted off from California’s Vandenberg Air Force Base on Tuesday to carry a group of ten Earth-observation satellites into orbit for San Francisco-based operator Planet. 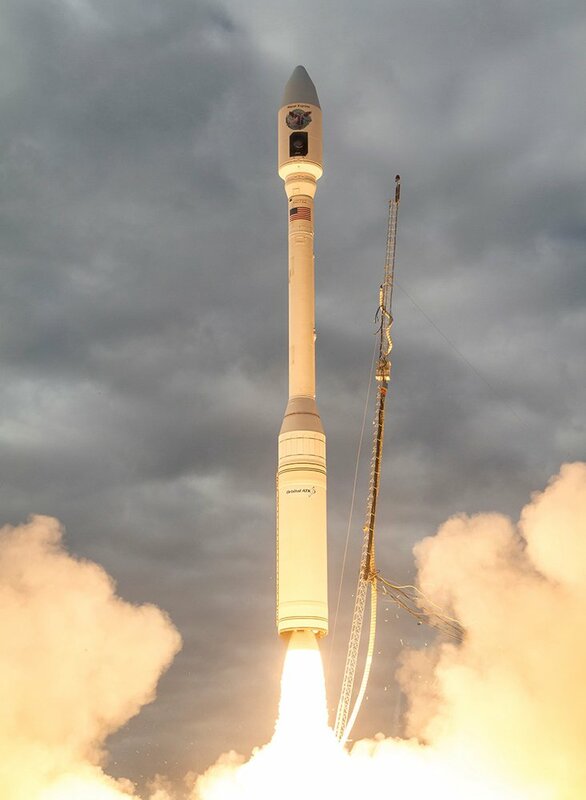 The Minotaur-C rocket blasted off from the seldom-used Space Launch Complex 576E at 21:37 UTC and was in action for twenty minutes to dispense six SkySat satellites and four Dove CubeSats into a Sun Synchronous Orbit. Although Minotaur experienced a series of unexpected signal drop-outs during its initial climb and the vehicle went out of tracking station range before deploying the satellites, launch success could be confirmed after all ten satellites checked in with ground stations after their first lap around the planet. 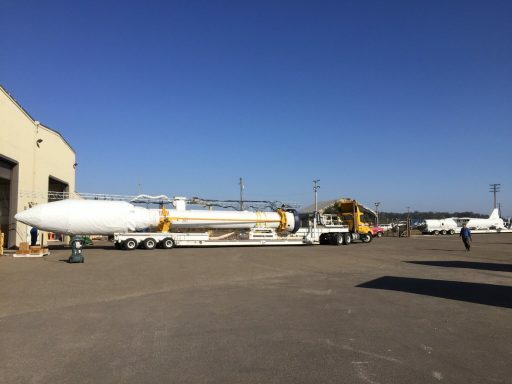 Classed as a new rocket by launch services provider Orbital ATK, the Minotaur-C – to a very large degree – is a re-branded Taurus flying under a new name after its record was tarnished by a pair of high-profile failures in 2009 and 2011. However, the transition from Taurus to Minotaur-C also included some changes on the hardware side, most notably a switch from heritage avionics to Orbital’s common MACH avionics package designed as a flexible solution for all of the company’s launch vehicles. Taurus debuted in 1994 and successfully flew its first five missions before being hit by failure in 2001 when a thrust vector control drive shaft seized and caused a temporary loss of control, preventing the rocket from reaching a stable orbit. The vehicle then flew successfully with Taiwan’s FormoSat-2 Earth Observation Satellite in 2004 before suffering two major blows on NASA’s Orbiting Carbon Observatory and Glory launches which suffered near-identical failures at payload fairing separation. The payload fairing is designed to protect the spacecraft as the rocket sits in the elements when waiting for launch and during atmospheric flight where aerodynamic forces could damage the satellites. Typically, rockets separate their fairings once out of the dense atmosphere to shed dead weight that is no-longer needed as aerodynamic forces are negligible when reaching 100 Kilometers in altitude. In both cases, OCO and Glory, Taurus failed to separate the payload fairing and, as a result of the extra mass being carried along, could not achieve orbit. After the OCO failure, NASA and Orbital Sciences (now Orbital ATK) conducted an inquiry into possible causes and came up with a list of probable root causes and corrective measures, implemented over a two-year Return to Flight campaign. However, as it turned out after Glory’s not-so-glorious launch, the wrong problems on the 63-inch fairing were fixed. An Orbital-led investigation zeroed-in on a frangible joint procured by the fairing contractor from a sub-contractor. In recent years, news emerged that the subcontractor in question allegedly falsified testing results to indicate their component had passed aerospace qualification tests. The two consecutive failures on high-profile launches left the Taurus name with a black mark and Orbital ATK subsequently sought to distance itself from the Taurus brand name. The Taurus II rocket was re-named Antares in 2011 in an effort to distinguish the separate launch vehicle program from Taurus since it shares no significant commonality with the troubled vehicle. The Taurus name was silently retired around 2014 in favor of the Minotaur-C designation. Minotaur-C stands 32 meters tall and weighs in at 77 metric tons, essentially representing a wingless Pegasus rocket with an additional boost stage. This is reflected in the numbering of the vehicle’s stages with the Castor 120 boost stage serving as ‘Stage 0’ while the Pegasus stages – two Orion 50 and one Orion 38 motor – retain their designations as Stage 1, 2 and 3. Minotaur-C can lift up to 1,458 Kilograms into a Low Earth Orbit and is available in multiple configurations with varying fairing size and stretched Orion stages for added performance; also, an option exists to replace the Stage 0 motor with a government-provided missile stage to reduce launch cost for Air Force-operated missions. 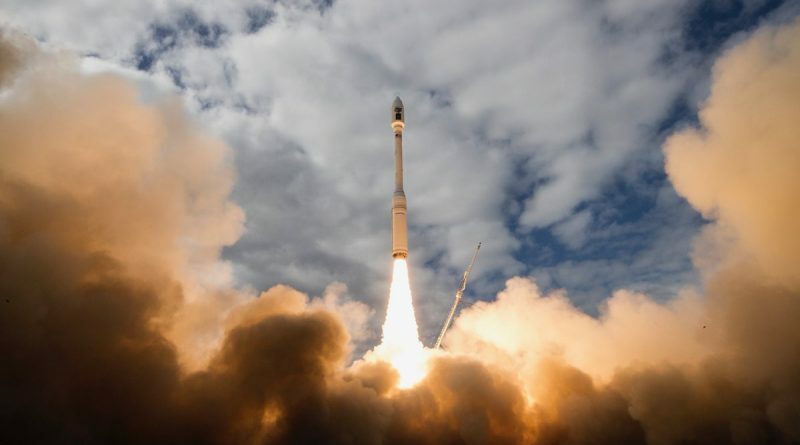 Tuesday’s mission delivered a total of ten satellites into orbit, six SkySat high-resolution Earth observation satellites and four Dove CubeSats that are joining Planet’s fleet of medium-resolution satellites capable of imaging the entire Earth at least once per day. 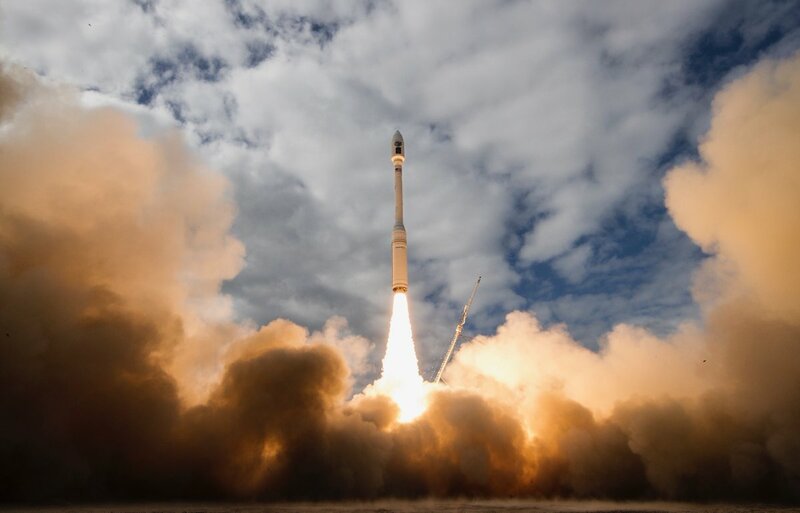 The SkySat constellation was originally designed by start-up company SkyBox imaging that formed in 2009 and successfully launched a pair of prototype satellites built in-house in 2013 and 2014 atop Dnepr and Soyuz rockets. In 2014, SkyBox was acquired by Google and later re-named Terra Bella, overseeing the first operational SkySat launches in 2016 when SkySat-3 lifted off on an Indian PSLV rocket and Skysats-4, 5, 6 and 7 were orbited by Europe’s Vega rocket in September. The operational SkySats are built by Space Systems Loral in California using an improved version of the original prototype designs. Each satellite is 60 by 60 by 95 centimeters in size and weighs 120 Kilograms, hosting a Ritchey-Chretien Cassegrain telescope with a 3.6-meter focal length coupled with a CMOS detector array capable of collecting panchromatic imagery at a resolution of 0.9 meters and multi-band color images at two-meter resolution as well as 30 frame-per-second video at 1.1-meter resolution. 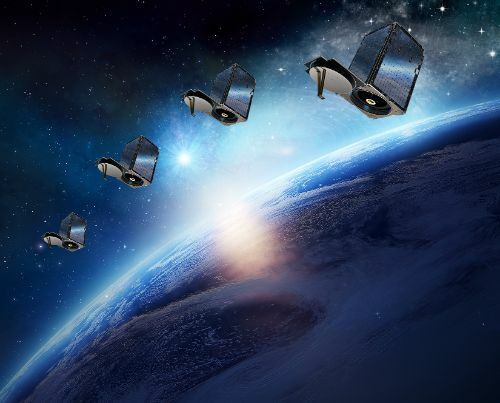 The operational SkySat spacecraft host a High-Performance Green Propulsion (HPGP) system for orbit control, allowing them to be maintained in an optimized constellation for the best possible coverage. A total of 19 operational satellites have been ordered from SS/L to establish a constellation with high-revisit rates for high-resolution imagery and video of ground targets. Terra Bella was acquired by Planet Labs in February 2017 for an undisclosed sum, placing under one roof a capability of imaging the entire globe every day and collecting high-resolution imagery of targets of interest. Riding shotgun on the inaugural Minotaur-C mission were four Flock-3m CubeSats to join Planet’s large CubeSat constellation in various Low Earth Orbits, covering different planes and inclinations. Deployed via Tyvak RailPODs, the four satellites bring the total number of Doves launched into orbit to 275 and expand Planet’s constellation with an afternoon segment in Sun Synchronous Orbit, allowing areas of interest to be imaged twice per day in medium- and high-resolution and also enable activities that happen at different times in the day to be captured. 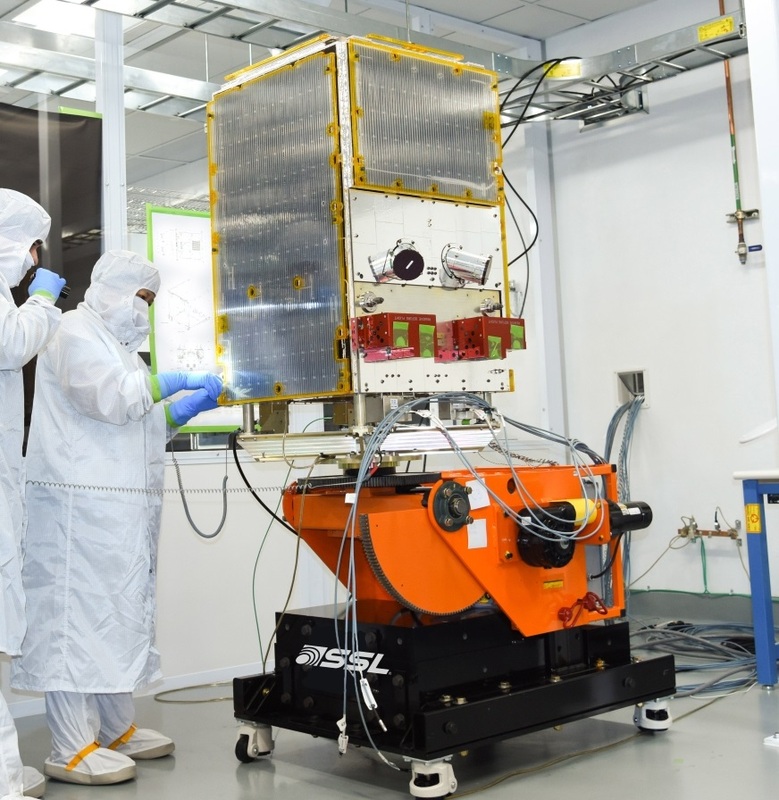 The Dove satellites employ the 3U CubeSat form factor (10 x 10 x 34 cm) and weigh no more than five Kilograms, hosting a miniaturized telescope assembly with a 9-centimeter aperture. 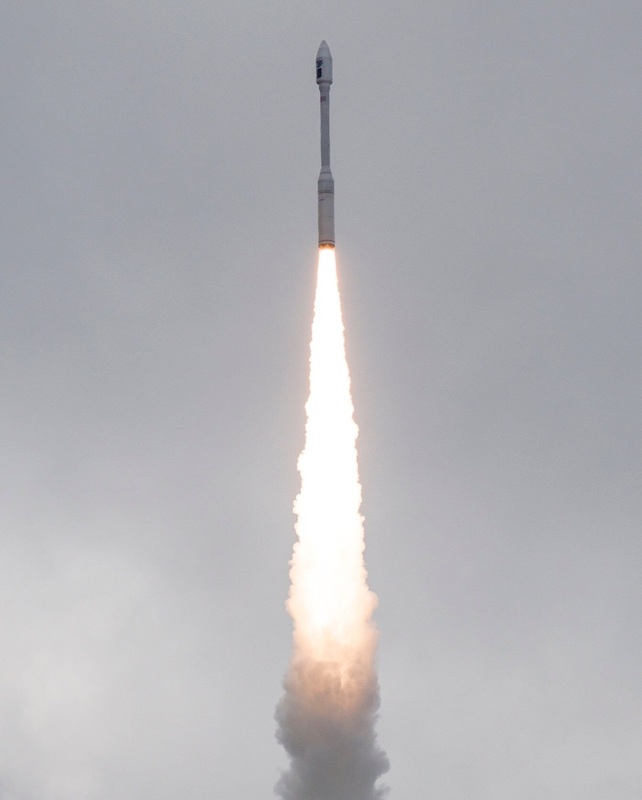 Since the first Doves launched in 2013, the company made a number of upgrades to the small spacecraft including the addition of new imaging bands in the visible and infrared range and improvements to the operational lifetime of the satellites. Depending on their orbital altitude, the Doves capture imagery with a resolution of up to three meters. Gearing up for what was hoped to be the first Taurus family success since 2004, Minotaur-C entered countdown operations in the morning hours, local time at SLC-576E – a former Atlas missile silo that had been vacant since the 1960s until the first Taurus launch in ’94. 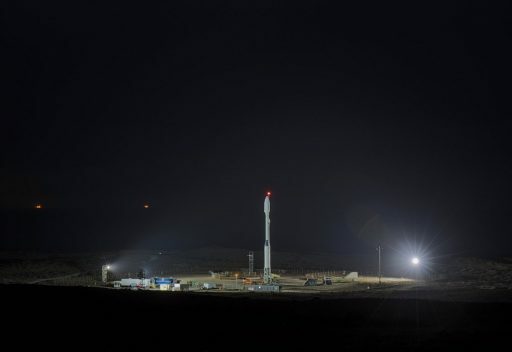 A clean countdown and pristine weather forecast set the stage for an on-time liftoff on Tuesday, accomplished by firing up the Castor 120 Stage 0 at the opportune time for a Sun Synchronous Injection. Catapulting the vehicle off its pedestal, Castor 120 delivered an average thrust of 172 metric-ton-force, departing California in a hurry and entering a pre-programmed pitch maneuver within seconds of lifting off to get aligned with a departure path due south. Nine meters in length and 2.34 meters in diameter, the Castor 120 burned 49 metric tons of solid propellant in one minute and 23 seconds, lifting Minotaur to an altitude of 49 Kilometers and accelerating it to 1.82 Kilometers per second. 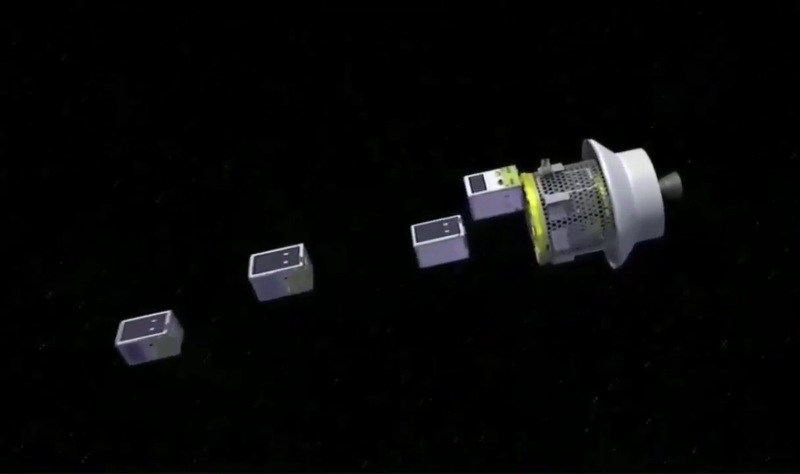 Separation of the spent boost stage coincided with the ignition of Stage 1, an Orion 50S XLT which represents a wingless version of the Pegasus first stage with added provisions for thrust vector control. 9.93 meters in length and 1.28 meters in diameter, the stage was tasked with accelerating the vehicle to 4.27 Kilometers per second and increasing its altitude to 145 Kilometers at burnout, in the process consuming some 15 metric tons of packed propellants. While Stage 1 was in operation, the mission experienced one of multiple extended telemetry drop outs, not unheard of for all-solid rockets departing Vandenberg due to the geometry of the ground tracking stations, the rocket and the electrically charged exhaust cloud. 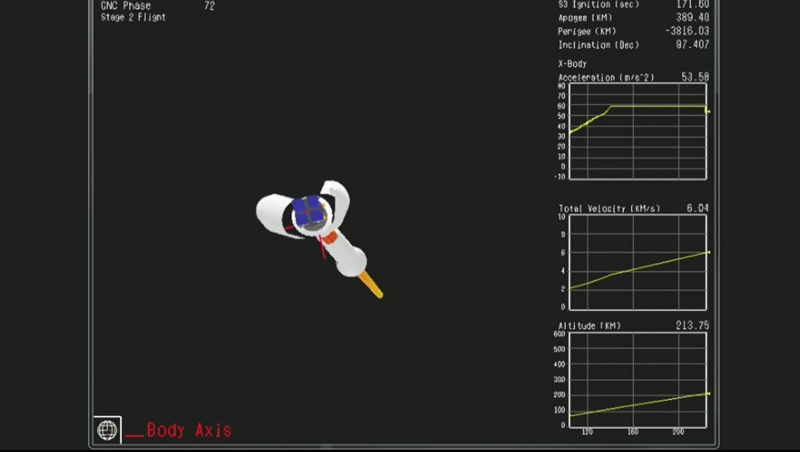 Range tracking assets continued following the vehicle’s ascent path, confirming Minotaur continued on a nominal trajectory despite the signal outage. Telemetry briefly returned to confirm that Stage 2 had fired up as planned two minutes and 52 seconds into the flight and the payload fairing successfully separated six seconds into the burn, a milestone pointed out repeatedly on the launch broadcast as trouble had struck earlier missions at this particular moment in flight. Stage 2 of the Minotaur-C is an Orion 50XLT that is largely identical to the Pegasus vehicle, standing 3.07 meters tall and burning 3,900 Kilograms of propellants over the course of 75 seconds. The second stage burned out after boosting the vehicle’s speed to 6.7 Kilometers per second, marking the start of a passive flight phase of four minutes to allow the stack to climb to the apogee of the sub-orbital path so that the Orion 38 stage could accomplish a circular orbit injection. Ignition of the Orion 38 occurred eight minutes and 55.6 seconds into the flight on a burn of 67 seconds to accelerate the stack to an orbital injection speed of 7.61 Kilometers per second, aiming for a 500-Kilometer Sun Synchronous Orbit. Subsequent mission events including third stage burnout and satellite separation occurred out of ground station coverage with release of the first four SkySats planned at twenty-second intervals starting thirteen minutes and 22 seconds into the flight prior to a re-orientation and the separation of the upper bulkhead at T+15:22 to reveal the remaining two SkySats and CubeSat deployers. The SkySats were to depart at T+16:43 and T+17:03 followed by two CubeSat deployment events involving two satellites each at T+18:13 and T+19:44. The success of Tuesday’s mission was confirmed after all six SkySats and the four Doves checked in with ground stations when completing their first orbit around Earth. 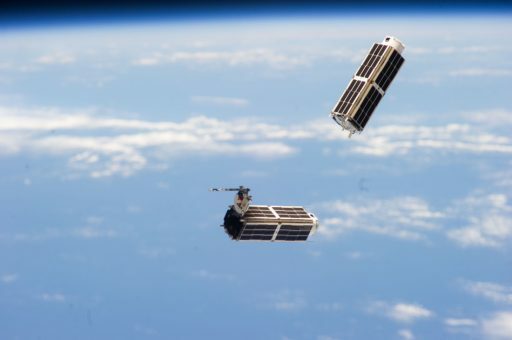 According to Tweets by Planet Labs, all satellites appeared healthy and going through their initial automated commissioning steps. For Orbital ATK’s Minotaur-C, the future is rather uncertain with no launches currently on the books. However, Orbital continues to show the vehicle as available for commercial and government customers. Orbital ATK’s next orbital mission is right around the corner as the company’s Antares rocket targets a November 11 liftoff from Wallops Island in Virginia with the eighth regular Cygnus cargo resupply craft headed to the Space Station. A planned launch of NASA’s Ionospheric Connection Explorer atop a Pegasus rocket in December is likely to slip several weeks. Copyright © 2019 Minotaur-C – SkySat. All rights reserved.